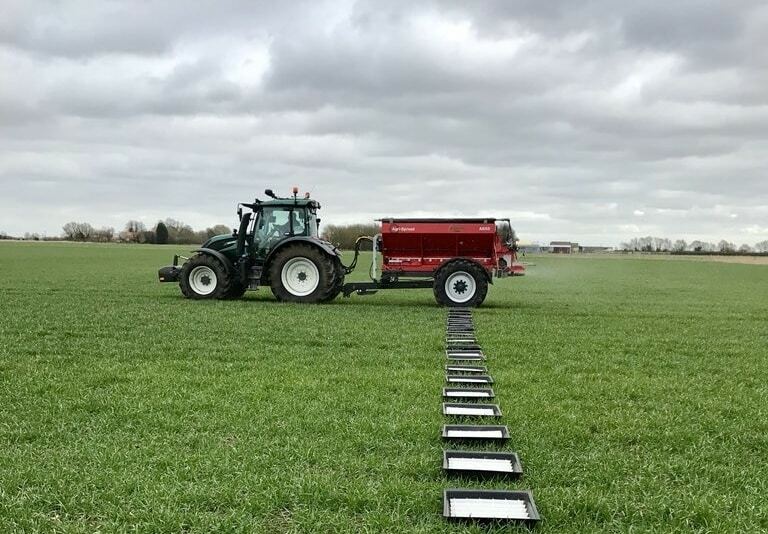 Whether fertilising crops, orchards or greens, for optimum application and improved yields the entire spread width needs to be as even as possible. An SCS tray test will determine the most efficient settings for your combination of machine and product and will flag up any issues that could cause striping. The aim of our engineers is to leave your premises with confidence instilled in your next application. We carry a range of spares and tools to ensure we can deal with the most common wear issues. 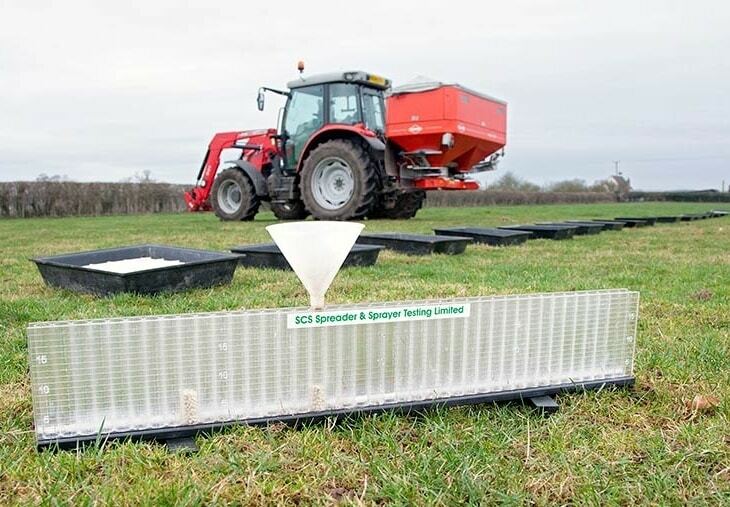 SCS operates under the National Fertiliser Spreader Testing Scheme, part of the NSTS. This keeps the assurance inspector happy but means all tests are subject to a £26 NSTS certification fee. A thorough examination of the machine and all working parts to ensure it’s working correctly before the tray test. Includes check of the tractor PTO accuracy. 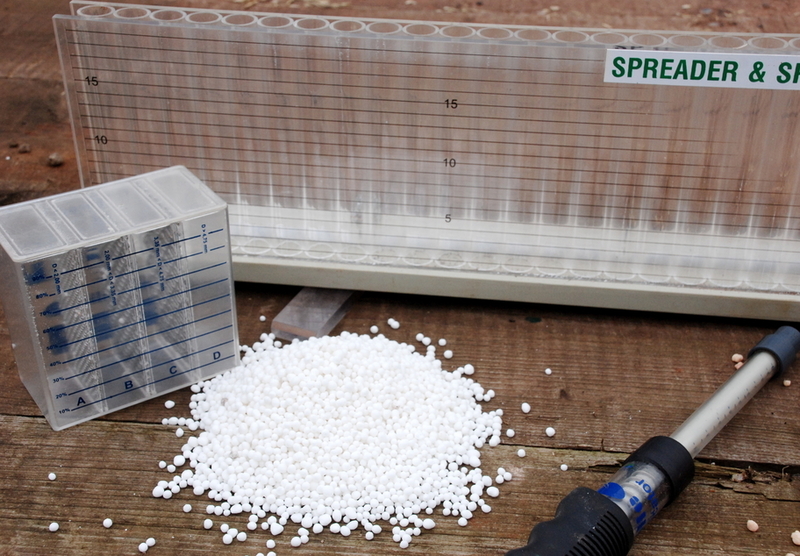 A check of the fertiliser’s characteristics including bulk density, crush strength and size. These will determine how the product spreads and can alert the operator to issues such as variation between batches. The spread pattern is assessed by driving through a set of trays with the spreader running, the material is collected and the Coefficient of Variation (CV) calculated. This gives a figure of accuracy for that pattern. 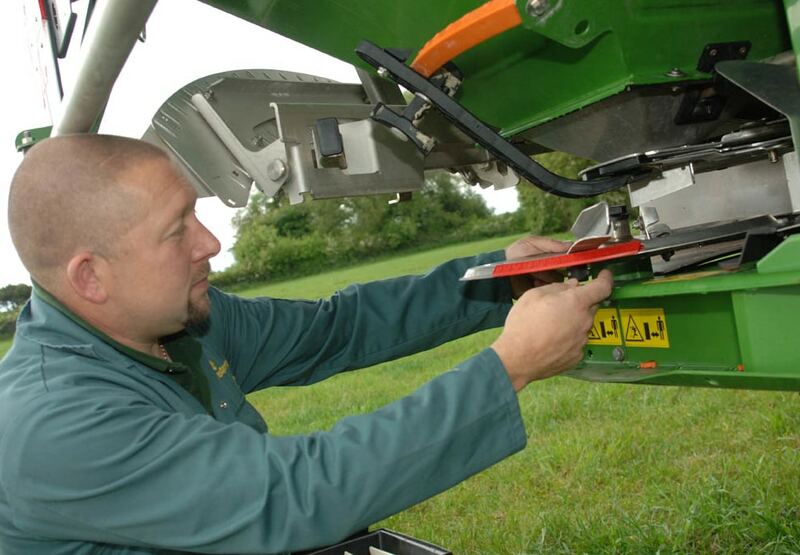 Adjustment of the spreader set up will then be made to ensure the best pattern possible is achieved. All the test data is captured on our engineers iPad including photographic evidence of the test outcome, the settings to be used for that combination, and the conditions of the day. Where initial tests show inaccurate applications an estimated financial loss is provided. The final report detailing all of the findings is emailed to the owner and uploaded to the NSTS scheme database. 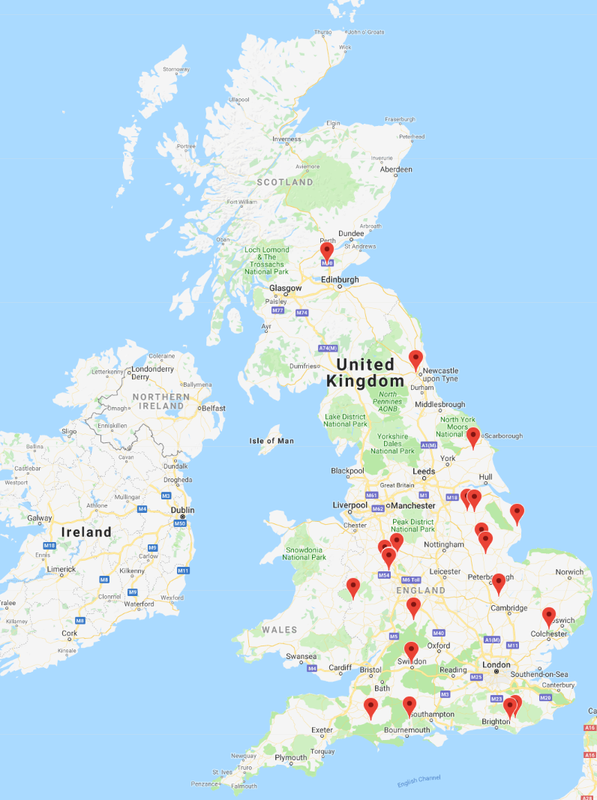 SCS reports meet assurance scheme standards. Our prices - All prices are VAT exclusive. The UK's most respected spreader testers. For confidence in your applications, book your testing with SCS today. Copyright © 2019 Langley Foxall Ltd. All rights reserved. Complete the form to make a booking and we'll get be in touch for more details. Testing prices are discounted for 2 or 3 machines 10% and 4+ machines 20%.